Midnight Express RADIO show all around the world: Booking: info@tomvagabondo.com www.tomvagabondo.com https://www.facebook.com/tom.vagabondo/posts/10152315852972986?notif_t=like FOR ALL PRODUCTION and our music go on: www.soundcloud.com/abeetomvagabondo or www.abeetomvagabondo.com for remixes: booking@theteabay.co.uk Tom Vagabondo grew up within a musical family who were able to nurture Tom's love for music. He started in 1996 in one local radio EVROPA 2 - attack in Opava, where he was also the station programmer. The radio moved from Opava to Olomouc, so Tom had to leave his job, but he didn't wait so long for a new opportunity. He was soon head-hunted by radio ..Helax.. and after that experience he moved to radio Kissmorava where he stayed for another 5 years. With Kissmorava he was, presenter Dj and again programmer and on the air every Friday from 8pm till midnight. His programme has hosted some of the biggest names in dance. After moving to the Brighton in the UK in 2006 Tom has played in popular city venues like Suga Cube, Heist, H-Bar, Zap, Honey Club, Coalition, Ocean Rooms and many more. He also played in London - Ministry Of Sound, Hidden, Factory, Ibiza, Poland, Slovakia, Czech republic and so many places there. Tom has had the pleasure of sharing the bill with the likes of A-Bee, Victoria Bourke, Jamie Milton, Natasha Rose, Brian Cheetham, Lee Garrett, Ben Prok, Sebastian Ingrosso, Ian Carey, Marcin Czubala, Peter Hayward,Helen Stokes, Jozef Mihalik, Chris Sadler, Amir Groove, Raymondo Rodriguezto, Sarah Favouritizm, Angelo Mike, Danny Williams, Semi Stef, Alex Blanco, Ivan Myslikovjan, Rick Maia , Martin Lodge, Will Sumsuch, E-Lite, Andrea Fiorino, Arco, Laddy M, Charlie Clubber, James Brady /ADSR/, Rusty Fox, Will Dawson, name just a few. 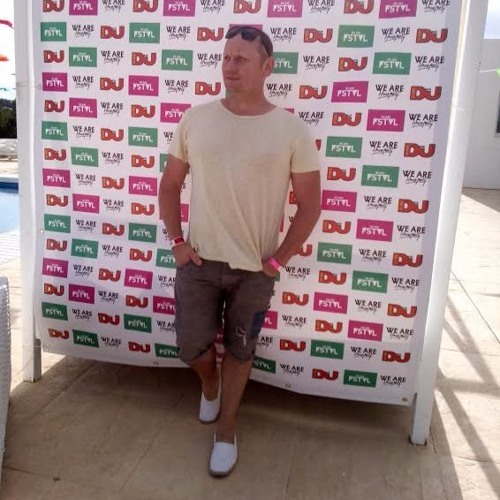 In 2008 Tom met Mirek Vacha aka dj A-Bee and Mireks production partnership began and in between dj-ing at some of the coolest venues in Brighton they have already produced and re-mixed some great tracks gaining the respect of many local DJs and producers and They have support from big djs name.